Sec. 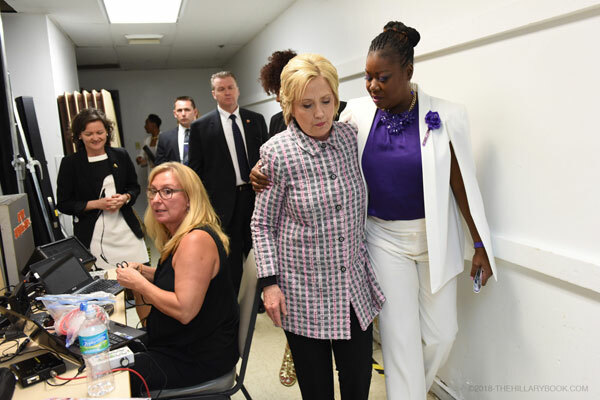 Clinton and Sybrina Fulton share a moment backstage at the third annual Circle of Mothers conference on May 21, 2016 in Fort Lauderdale, Florida. Sec. 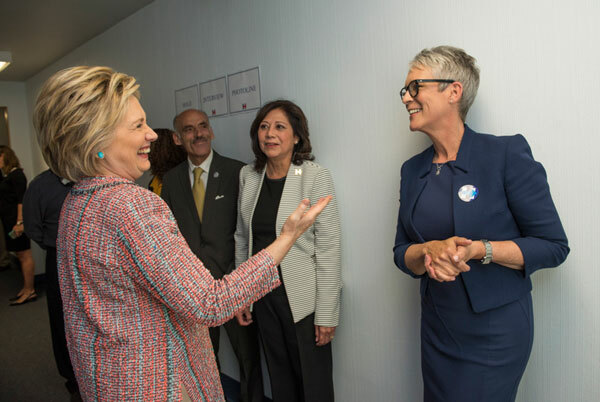 Clinton and actress Jamie Lee Curtis share a laugh prior to a campaign event at the UFCW Union Local 324 on May 25, 2016 in Buena Park, California. Sec. 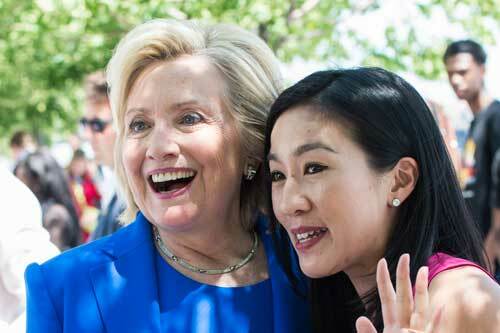 Clinton and Michelle Kwan together at the event when Sec. Clinton announced her bid for president. Cecile Richards and Sec. 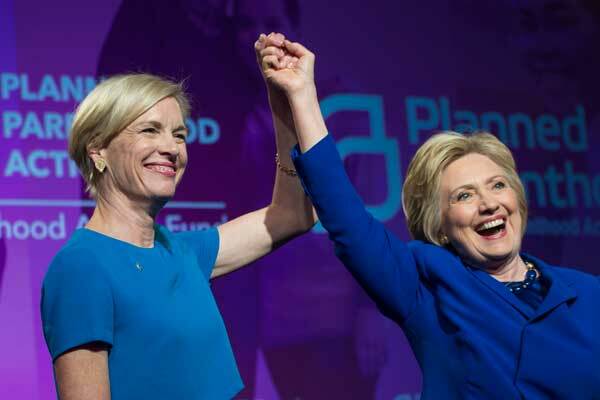 Clinton join hands following the her speech to supporters at the Planned Parenthood National Convention in Washington D.C., June 10, 2016. Ted and Mary with Sec. 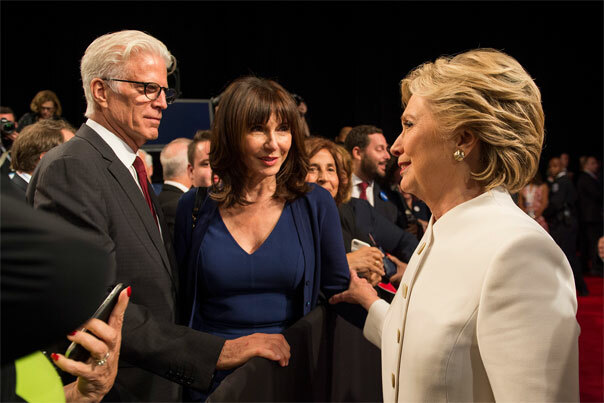 Clinton after the final presidential debate at the Thomas & Mack Center on the campus of the University of Las Vegas on October 19, 2016.